I don’t usually take part in external trainings specialized in B2B. Why? Because I believe that the offer is fairly poor, especially in France. I chose to use networking as a strong ally to stay informed, to learn about the latest B2B trends and to establish a mutual credibility with my peers, by sincerely caring about their lives and ultimately learning from their personal experiences. As mentioned in my latest podcast recorded with Joel Harrison, co-founder of b2bmarketing.net, I am always surprised by the lack of proper, focused, and affordable B2B marketing & sales training in France and more generally in Europe. Add to this the fact that business and engineering schools are barely preparing their students for the huge potential that is hidden behind the B2B world. This is a shame, for many reasons. In a nutshell – and this is just my opinion – apart from certain certification courses (taking several months to pass & pretty expensive) available in the US, in UK, I have never found a B2B marketing training that would teach me things that I cannot find online. Whether on YouTube, on free online courses or with a “smart” B2B networking approach. By “smart”, I mean that you need to select carefully the type of networking events you attend, or this approach will become highly time-consuming and most likely be ineffective. Don’t get me wrong, I am not implying that all training courses are terrible or useless. I mean that the ones I attended in the last decade made me feel that, considering the investment in time and money they required, I could have learned even more by myself, and with a LOT more agility. However, even a good networking approach will not be sufficient to remain competitive if you don’t use online resources as a strong ally to raise your knowledge. I don’t want to sound like those marketing gurus telling you that you should spend an hour per day learning online, listening to Seth Godin podcasts and reading all the latest books covering the topic of B2B Marketing. We are not machines, we have actual lives to live, and we each have our own vision of what success and ambition are, right? 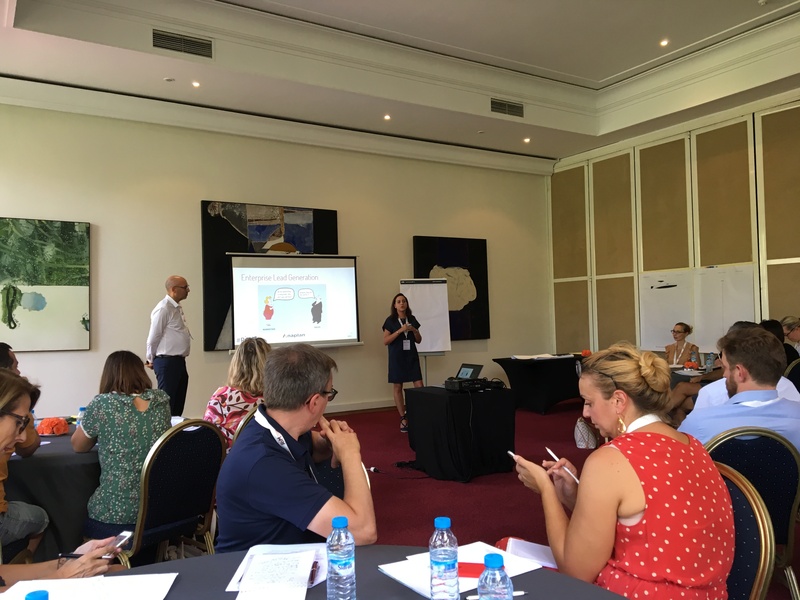 I want to share with you a recent example of a very powerful B2B networking experience I had in Morocco. 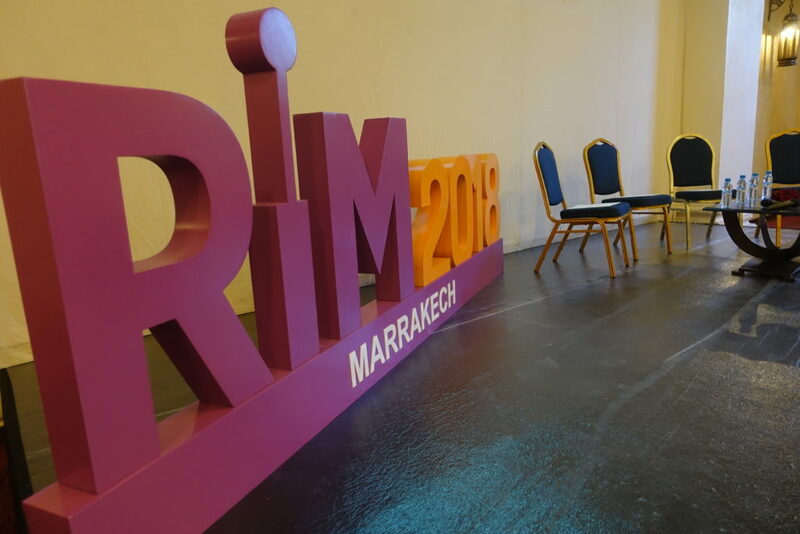 Last week the International B2B Summit took place in Marrakech – also called #RIM2018 aka “Rencontres Internationales du Marketing B2B” (see their website here, though only available in French). Aside from the incredibly sunny weather (which to be honest made my decision to go even easier), this event was organized by InnovCom (a French think tank which focuses on marketing & sales innovation) and made for a great example of a successful and rich B2B professionals networking event. Three full days of business networking, hand-on workshops, coupled with cultural activities and chill time to spice up the whole thing. You have no idea how much I learned in two days (I had to leave the event early due to a family meeting)! Why was this event so damn brilliant? The event hosted 100 people. Only B2B decision-makers, entrepreneurs and influencers. Intimate, with permanently smooth logistics: we were in the best conditions to be open for discussions and to learn from one another. The plenary sessions were very exciting and inspirational: one that I especially keep in mind is the great keynote of Giselle Hardt about the impact of storytelling in B2B. A delightful and inspiring presentation. The workshops were built to be meaningful: one topic, six tables including eight B2B experts, united to brainstorm and build a presentation together, in 45 minutes. The part I love the most? The fact that an actual whitepaper will be created from all those exchanges and will be shared publicly online. At each table, one person oversaw the introduction of the topic and guided us through the process while ensuring we kept the timing. Put passionate people in the same room, in a place where they feel good, give them a clear agenda and a common objectives, with proper guidance, share with the contributors what deliverable you really expect from them, and you will get the essence of a B2B collaboration-based idea and content production. Naturally this might sound like an isolated example and probably doesn’t justify not attending B2B certifications and formal training. But I strongly feel that this as THE new way to stay on top of B2B marketing trends, as the content you get from networking is 100% dynamic, while training sessions contain at most 50% of purely dynamic content. Now focusing solely on networking might lack a formal learning structure, but this is why the Internet is here: to formalize and contextualize your B2B networking-based knowledge thanks to the free online resources and documentation. Now this is a real call for REX: please share with us your best B2B networking events, whether you agree with me or not, and how you best stay informed on the latest B2B marketing trends and best practices. Because successful B2B marketing is all about innovation and experience sharing!